At present, a private car stands around unused on average for over 23 hours per day. A carsharing vehicle in the free-floating system has a five to six times higher utilization rate. An autonomous carsharing vehicle in the future will be on the move more or less round the clock. However, to achieve this, optimal management of autonomous carsharing fleets will be required. Preparations are already being made for this. The use of autonomous vehicles will be a further quantum leap for carsharing. car2go is already making extensive preparations for this concept and is ready and waiting for the autonomous future. 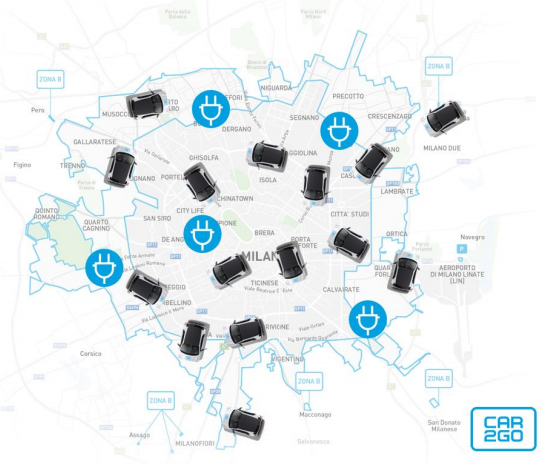 car2go is already working at full speed on all five conditions and is able to benefit from the comprehensive experience, data and results obtained from almost ten years of company history. Whoever wants to optimally manage fleets must manage both the software, i.e. algorithms, big data and apps, as well as the hardware, i.e. the cars. There are many players in the fiercely competitive mobility market. But there are hardly any mobility providers outside the carsharing branch who actively operate larger vehicle fleets. This will change when the age of autonomous fleets arrives. car2go already uses management software to flexibly and professionally respond to vehicle downtime. Ensuring the availability of the maximum number of vehicles is a considerable challenge also for free-floating carsharing. New technologies are currently in the pipeline to make the planned cleaning and maintenance of the vehicles even more efficient. The second important condition for autonomous carsharing is accurate demand prediction. The question as to when and where a customer will need a car has to be answered even before the customer actively searches for a vehicle. In a competitive mobility market, the customer is most likely to select the provider who offers the best, most reliable service in the shortest time and at a good price – and has exactly the car available at exactly the time that the customer needs. car2go already constantly predicts the demand in all car2go cities and therefore knows when and where the customers need vehicles. This helps in the management of the fleet so that the maximum possible availability can be achieved for the customers. Learning algorithms consistently improve the quality of the prediction through the use of “Advanced Machine Learning Technologies”. The key component required for functional autonomous carsharing is sophisticated and intelligent fleet management. 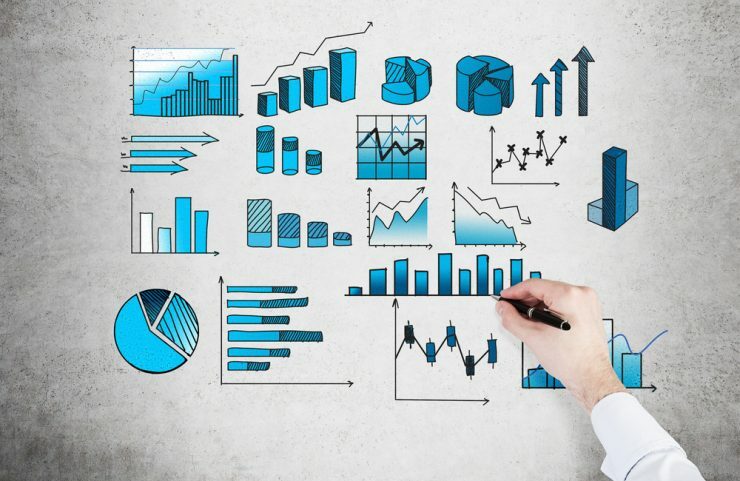 What does fleet intelligence mean? As soon as it is known where a customer requires a car, the decision has to be made as to which car should ideally be driven to the customer and which route it should take. 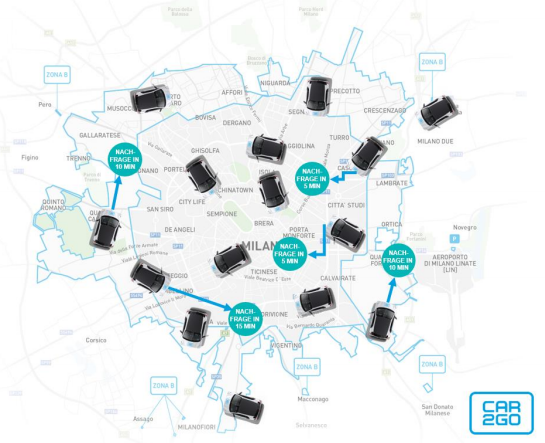 Admittedly, this sounds extremely futuristic, but car2go already operates using a sophisticated logic system which optimally distributes the fleets across the home areas. As soon as cars are driven autonomously, it will be possible for cars to distribute themselves independently throughout a city based on the same logic. 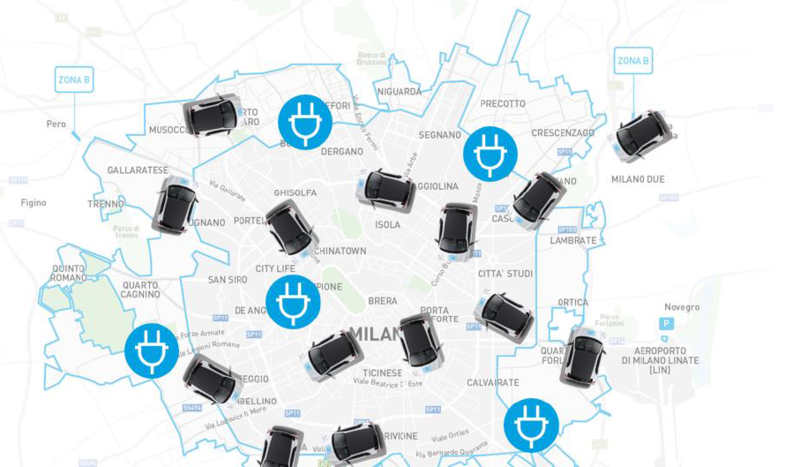 Purely electric carsharing fleets in the cities of this world is definitely very good news – for the cities and their inhabitants. Traffic will thus become cleaner and quieter. But this scenario brings various challenges with it. Regardless of how powerful the batteries of future electric vehicles will be and how quickly they can be recharged, the point in time will always come when the battery is empty and needs to be recharged. However, complex simulations can be used to accurately predict charging scenarios and thus provide guidelines for the optimal distribution of charging stations. car2go already shares this knowledge with the cities and thus prevents further unnecessary traffic. Only the provider of autonomous sharing services offering the best customer experience will stay ahead of the competition in the market. The range of possibilities is wide – from the design of a corresponding app, to the communication between customer and vehicle, right through to additional offers and services in the vehicle. car2go is already working together with its parent company Daimler Mobility Services on providing the best possible customer experience in the future. Over eight years of experience in the development and optimization of an app ensure the ideal basis for this. Furthermore, decisive input on the user behavior of a young and progressive target group is obtained from specific application studies commissioned in cooperation with universities. Autonomous fleets will provide an on-demand offer supplying inexpensive and individual mobility. The biggest challenge will be to make the best product available right from the very beginning in a highly competitive market. The following questions will be decisive: Who can provide a vehicle in the shortest time? How much will the service cost? How reliable is the service and is the offer targeted to the customers’ requirements? car2go is already preparing itself to face this challenge. With the smart Vision EQ, the smart brand has presented its vision of the carsharing vehicle of the future. With car2go, the operation of this vehicle in an intelligent fleet will also be possible. 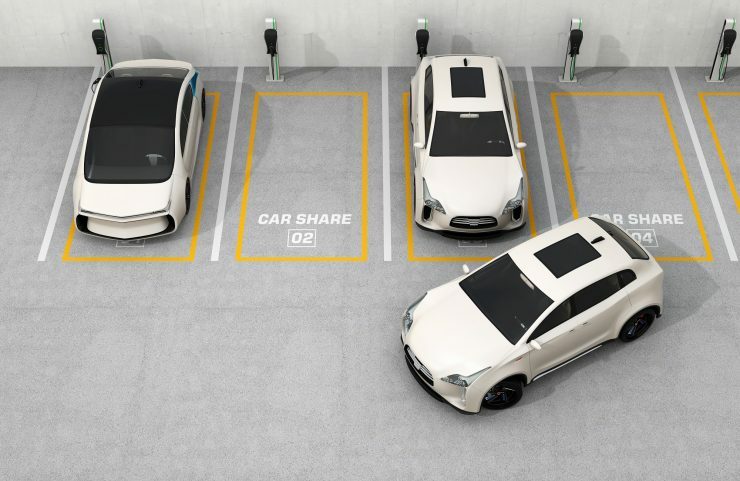 Autonomous carsharing – can you see the advantages or do you still have reservations?